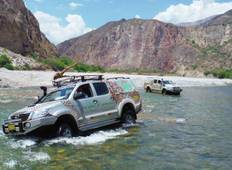 Find a Jeep & 4WD trip that explores Peru. There are 2 tours to choose from, that range in length from days up to days. The most popular month for these tours is , which has the most tour departures. "What an adventure! 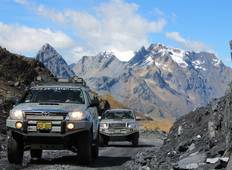 If you love driving and want to discover the real Peru then this..."
"We have just returned from a fantastic 15 night trip with Peru Safari. It far surpassed..."